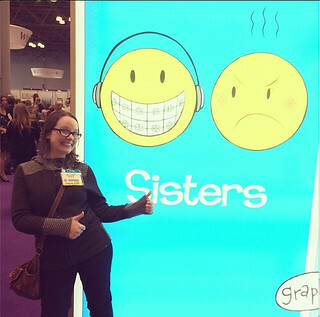 The enormous, lit-up Sisters banner at the Scholastic booth! 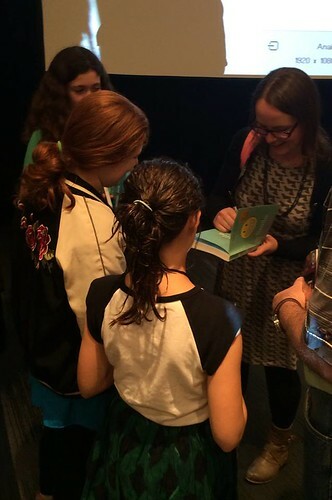 Signing books before my Book Con panel. To say I was flattered was a huge understatement!! 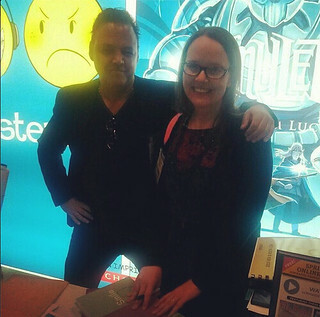 I got a chance to meet Mark at Book Expo, and he is just as nice as can be. Thanks again to Mark for this incredible shout-out! I hope some of my readers will check out his comics in return.